Edna Mode: You look ghastly, Robert. Bob Parr: I haven’t been sleeping. 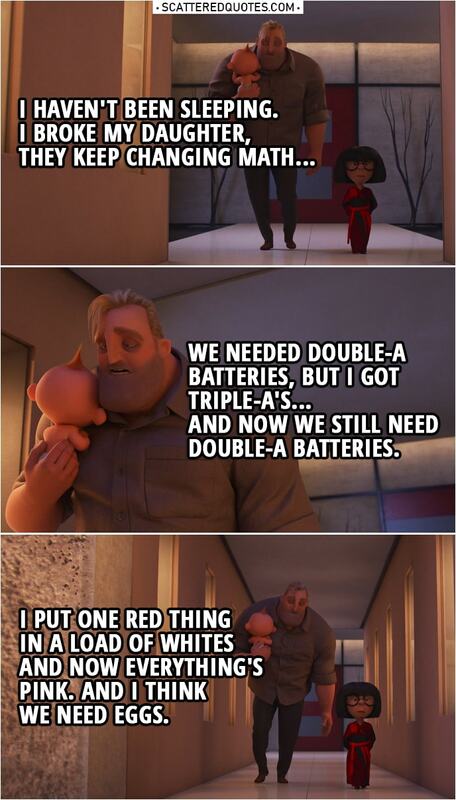 I broke my daughter, they keep changing math… we needed double-A batteries, but I got triple-A’s… and now we still need double-A batteries. I put one red thing in a load of whites and now everything’s pink. And I think we need eggs.